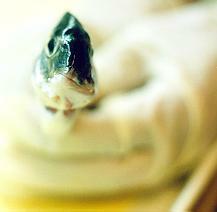 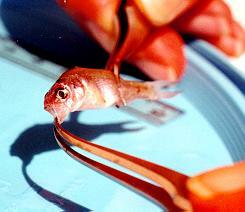 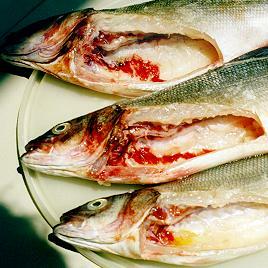 Dysplasia of the caudal fin. 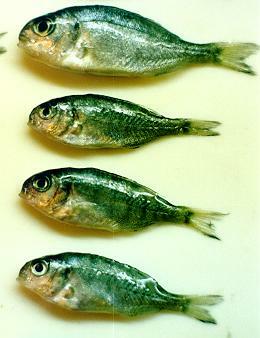 Aplasia of the dorsal fin. 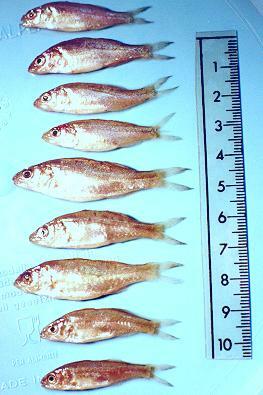 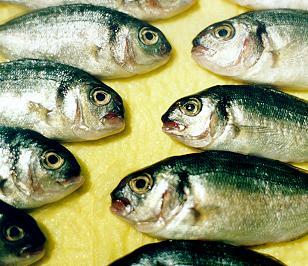 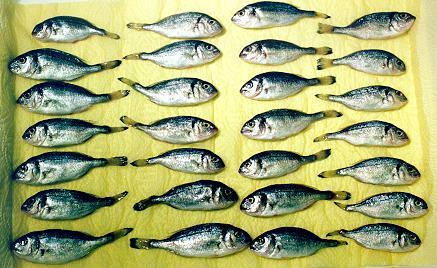 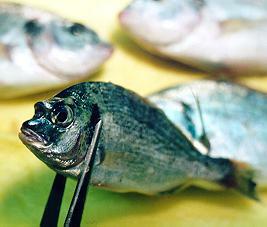 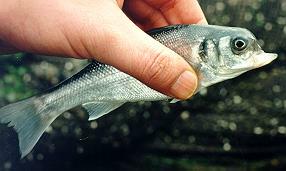 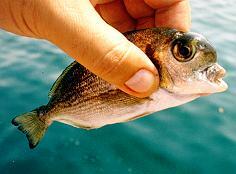 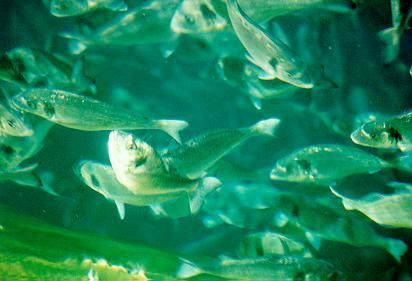 Characteristic head-up swimming behaviour of a sea bream grower with lordosis (V shaped spine at the thoracic region). 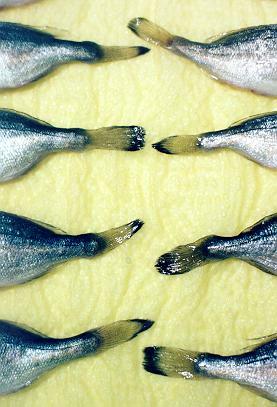 Externally invisible lordosis of the anterior part of the spine. 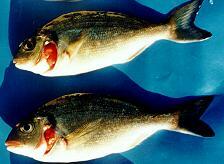 Shortened discus-like body of a sea bream grower due to fusion of the vertebrae (see skeleton on right photo). 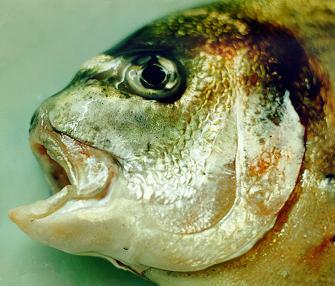 Part of the skeleton of the sea bream suffering from fusion of the vertebrae, mainly at the thoracic region. 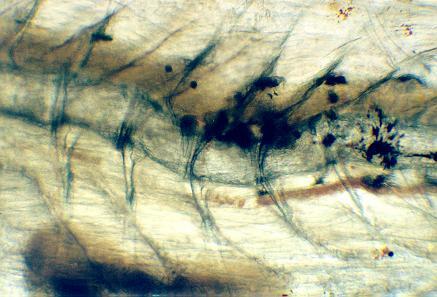 Light microscopic observation (x25) of the lordotic spine, towards the tail, of a 57 days old sea bream juvenile with evidence of inflammation.